I'm looking to follow the former route of the LVT's Slatington Line this winter. I have some old topo maps but could really use a route map or something to better trace the line. Any info would really be appreciated. Thanks for that - I didn't have a map from that time frame in my collection. 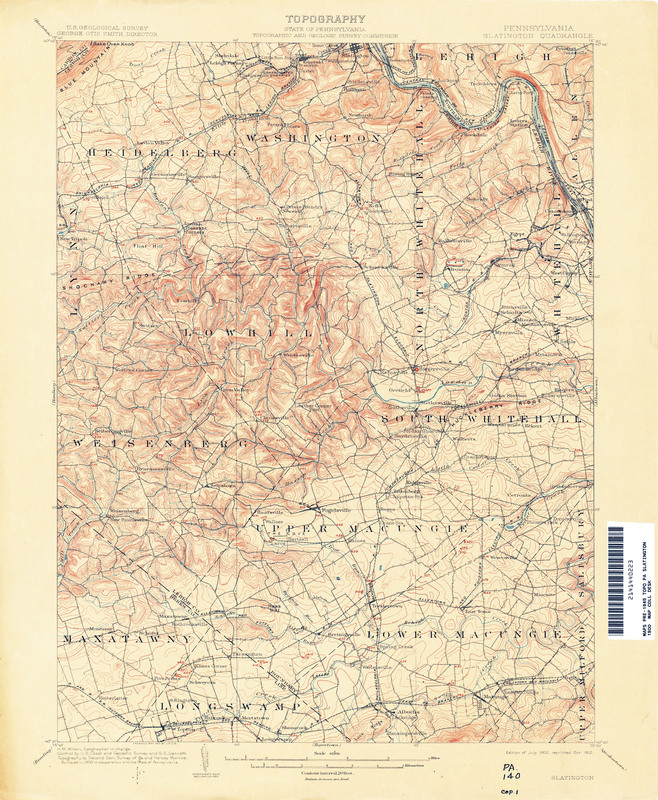 Now to find a good map that shows what streets the Slatington line ran on from center city Allentown to Greenawalds. Past there I have it pretty well nailed down.